STORY: Indian Prime Minister Narendra Modi on Monday (February 18) said the deadly suicide bombing in disputed region of Kashmir showed that the time for talks has passed and called for global efforts to tackle militancy and its supporters. He made the comments during a joint statement with Argentine President Mauricio Macri in New Delhi. “Militancy is a threat to global peace and stability”, said Modi after holding talks with Macri. 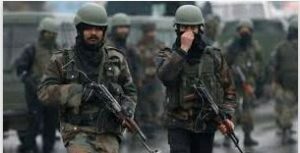 The suicide bomb attack on a paramilitary police convoy in Indian-controlled Kashmir last Thursday (February 14) killed at least 40 men, the deadliest single attack on Indian forces in 30 years of insurgency in the Muslim-majority region. India and Argentina also signed 10 agreements in several sectors including nuclear energy, defence, information and technology, and tourism. “We will continue trying to find a place for India to participate in the development of the second largest shale reserves of the world, Vaca Muerta”, Macri said. The Vaca Muerta play in Patagonia is one of the largest reserves of unconventional hydrocarbons on the planet, though much of its oil and gas remains untapped.